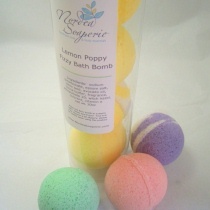 "Send the perfect gift…a box full of goodies from Nordea Soaperie, fizzy bath bombs, or a handmade washcloth. The perfect way to soak away the stress! 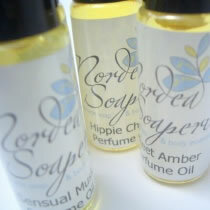 Throw one into your bath water and relax while you enjoy the fragrance and skin-soothing oils. Each package contains three bombs. 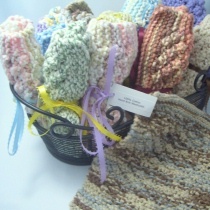 This hand-knit washcloth is 100% cotton and comes in a variety of colors. Each washcloth is approx. 6x6"
Perfect pairing with handmade soap! Hand-knit with 100% cotton yarn. Blue Blue/White Pink/White Yellow/White Surprise Me! 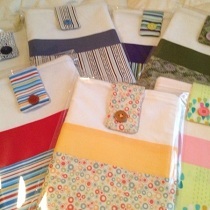 Handmade ipad sleeves measure 8.5"x11" and will fit any ipad with or without a smart cover. There are many different designs available, please visit my Facebook page to select your design, and write your selection in the special message box when checking out.